Come on craftsmen here is one more inspirational post for you. No matter what you do, there will always be a need for more decor in your home, a need to change, need to refresh. Be it functional or purely decorative, you will never stop looking for more things to add in and outside of your home. 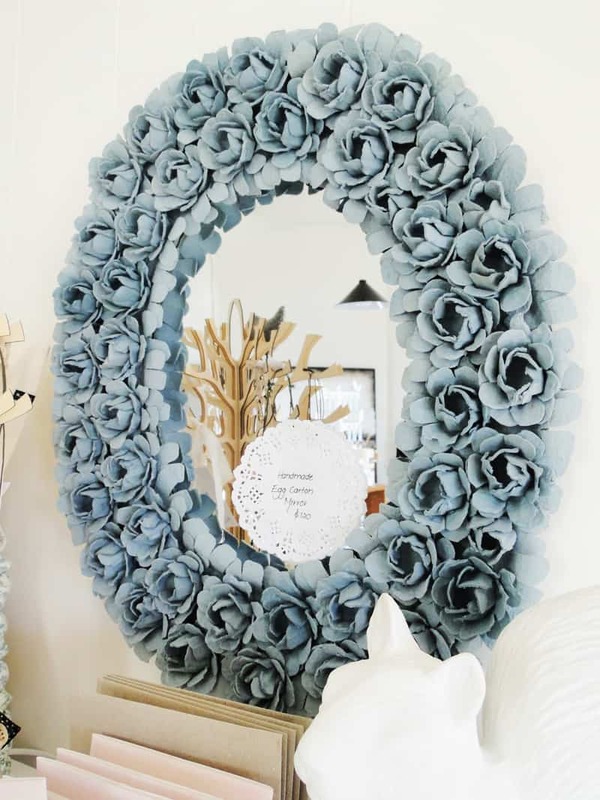 We present you a bunch of creative DIY projects for your home that you need to make this summer- 5 absolutely amazing DIY ideas that are going to help you freshen up your home decor while keeping your wallet in your pocket. We really like the DIY mirror fram created from an old eggs cartoons and the chandelier made from old wine bottles. Be creative and refresh your home! Easy to handle, this style of paper was first made in Japan from bamboo, rice or wheat. It is produced in a traditional manner, similar to that of ordinary paper, but fewer chemicals are used. Thanks to its flexibility and affordable price, Washi paper has become very trendy in design, art, cuisine, clothing and furniture. 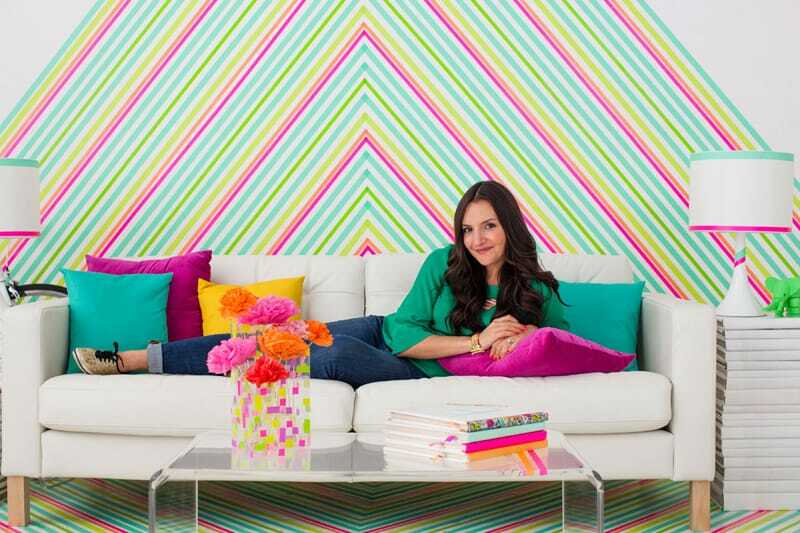 And, not least, Washi tape with adhesive can be an excellent material for DIY wall decorations. Explore the gallery and pick the best ideas for your home! You can create lamps, decorative vases, and hurricanes from old wine bottles, and there are many other things to make with wine bottles. Sometimes, simply adding paint, twine, and other decorative craft supplies is all that’s needed to give an old bottle a new look and new life. For the more ambitious, learning basic glass-cutting skills opens up even more possibilities for making the most of those old bottles. Still stumped? 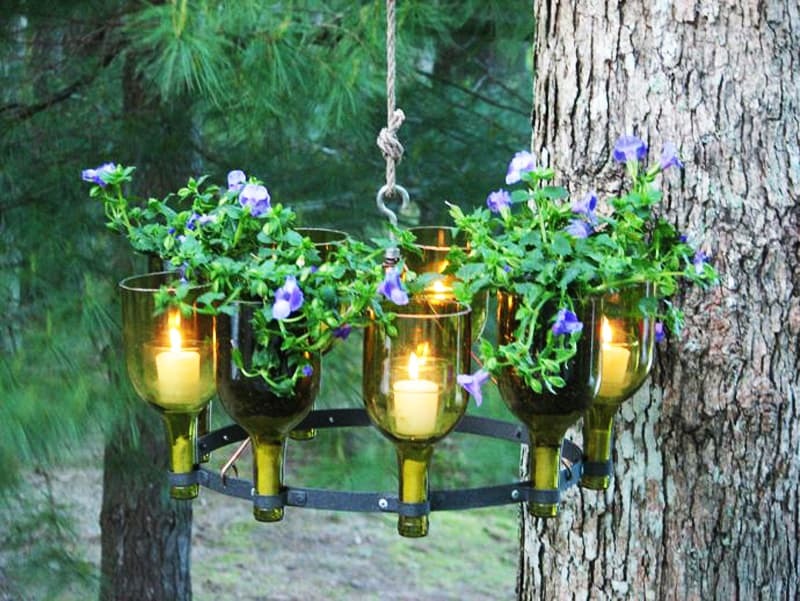 Here are 25 DIY Ideas to Recycle Your Old Wine Bottles. Give one a try, or maybe use one as inspiration for creating something uniquely your own! The macrame technique comes handy for making all sorts of home décor items and accessories, from wall hangings and curtains to bracelets, belts and jackets. It is often the best option when it comes to handmade designer plant hangers. If you love gardening, but don’t have any open space for housing plants, think about having a hanging garden, where you can grow your favorite orchids and flowers in small pots hanging from rope hangers. 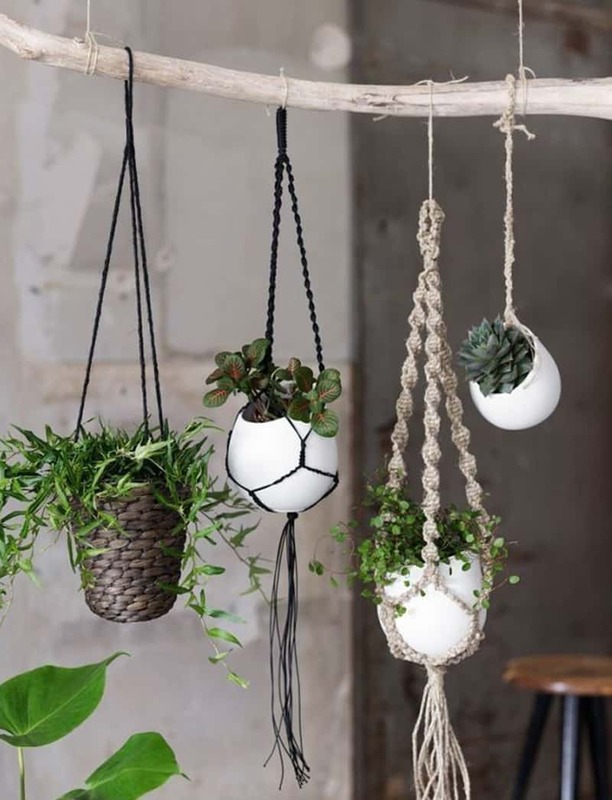 For today we gather 20 DIY Macrame Plant Hanger Patterns. There are plenty of ideas to inspire you, using a variety of materials — rope, cording, leather, brass fittings, even t-shirts. Grab that pretty twine you’ve been saving, or that old t-shirt you can’t part with (but can’t wear anymore), and happy crafting! The PET plastic that most plastic beverage bottles are made of is a fairly useful material – it’s resilient, flexible, transparent and food safe. As such, there are probably countless applications for these bottles that will give them second lives. Whether you want to make your own ottoman, build a greenhouse or simply use the bottles as extra food storage, this list has got it all! 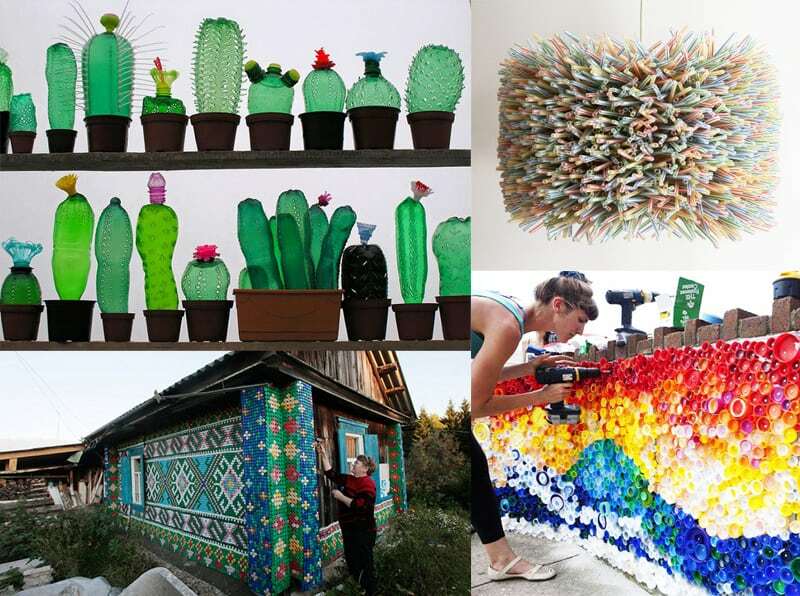 For today, we present some Ingenious Ways To Recycle Plastics. They’re all cheap and easy to do, and you won’t have to spend a fortune either! Egg cartons can also be a problem on waste management because we have a lot of them, and most of us don’t know what to do or how to recycle them. Actually there are a lot of creative solutions for this problem. Here are some great ideas of how to recycle egg cartons: 30 Recycling Egg Cartons Craft Ideas. Take a look and start your DIY project! Sounds simple right?